Home / alabang / avida / avida land corporation / avida residences / avida settings / cavite / dasmarinas / santa catalina / santa cecilia / Reach Your G-O-A-L with Avida! Reach Your G-O-A-L with Avida! I dunno what's with me, maybe the mid-life crisis thing, that's why when I went to the church that Sunday, I asked God, please brighten my mind and tell me what to do... WHAT IS MY GOAL? And I think God just loves me, He answered my prayer through a whooping fun blogging event. Ever since I was a child, being a middle child, I've been dreaming of having my own space... MY OWN PLACE. That's why when I received an invitation to join a group of bloggers and media to take a trip at Cavite to see how this historic place is being transformed into an astonishing place for Filipino families... I guess, this is the answer to my query to God. Taking a quick trip via Daang Hari, I didn't know that this road is now open, we reached Cavite in less than an hour. It was a great escape from the hustle and bustle of the crazy traffic in Aguinaldo Highway. It was like SLEX/NLEX type of road, though my friend told me that at night, the road is kinda low in street lights, so I hope that the local government will do something about it. Our first stop that day, the Avida Settings Cavite. According to Aldo del Rosario, Project Officer, the theme of this whole village is the American suburb kinda living. In other words, "Desperate Housewives" kinda village. I love the houses on that show! Wisteria Lane is the love! The path to these America-style houses is just so lovely. They really gave a full experience of the the idea. The streets are perfect for two-way passage, which is good, and at every corner and every blank spot, all you could see is the lush green of trees and grasses that giving fresh air to the surrounding. As for the house, Aldo said that there were six types of house to choose from, single bedroom to four-bedroom houses. All colored in this relaxing pastel colors, you may think that these cute houses are made of wood, when I tried to knock on those walls they were all concrete. The interior is breezy, thanks to the perfectly placed windows. All houses are detached and have their own car pool - parking on street in not allowed. Each house has also a courtyard, giving every house a space from the street. I find these courtyard so kids friendly. 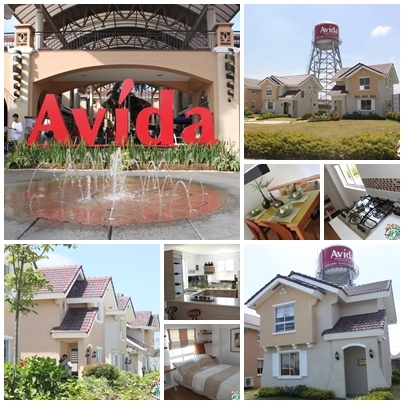 When it comes to amenities, Avida Settings Cavite has a lot to say. They have this clubhouse with swimming pool and playground that is perfect to any event that you wanna celebrate. They just opened a basketballcourt, too, for the boys to enjoy. They have a 24/7 guardhouse with "real" guards and an electric fence with CCTV cameras that are ready to secure the perimeter fence of this whole 57.5 hectare property. If you are thinking of a dream house, well, same with me. This is, indeed, a dream house for every Filipino. Our next stop, is the place that enliven's the true color of Cavite - Avida Village Santa Cecilia. If you want that "Tuwid na Daan", as what President Noynoy said during his presidential campaign, this property is just what suits you. This almost-occupied project of Avida Land posses a rich Filipino touch with its one-story and two-story houses. Each has its own distinct features but at the same time simply goes together to say that they are one. And since this village gives a modern twist to the Filipino living, they have amenities that you and your family would love - swimming pool, basketball court, clubhouse and pocket parks where one can just sit, relax and enjoy the fresh air and the gleaming sunlight. 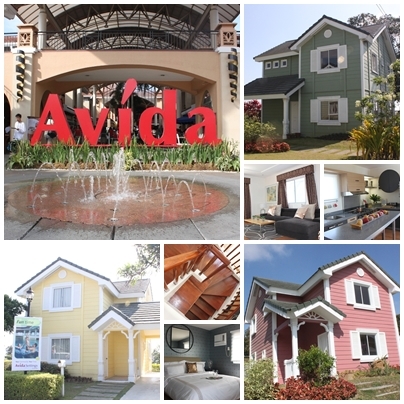 Filipino dream it is, Avida simply gives every Filipino's true dream. Avida Residences Dasmarinas- Cavite's European HomeA house is not a home... til you have it the Avida way. Our third stop brought us to the place where I imagined myself living in. Out of the three projects that we visited, by far, this one really caught my heart - Avida Residences Dasmarinas. The prices are quite higher than those of Avida Villa Cecilia’s houses but a lot more affordable than of Avida Setting Cavite’s houses. With three types to choose from, this Avida Land project will definitely be a sure hit to Filipinos who are dreaming of a Mediterranean home. The home, architecture and the style... I JUST LOVE EVERYTHING! When I asked Aldo about the price, I learned that prices of the most affordable one to the most expensive one is not far from one another. And believe it or not, when I heard the prices, a light bulb just lighted inside my head and realized something... Probably this is God's answer to me, to pursue my goal of having my own place, an Avida Residence Dasmarinas GOAL. The interior of each house were just lovely as its exterior, giving the homeowners to have their dream home a one of a kind relaxation spot here on the planet. With amenities just like the two projects I've mentioned above, this project simply captivated my heart and mind. I think I have to start working harder for this one, because this is one project in life that I will not say pass. This my new GOAL, and I will win on this GOAL. Our last destination in Cavite was the upcoming, and they say, the hottest project of Avida now - Avida Residence Dasmarinas. This 38-hectare residential development will give Filipino families one satisfying treat with its soon-to-be developed hectares of green recreational space. Perfect for young families who love spending quality time with one another. The time we were there, the construction was still on-going, but according to Avida people, in three years time, everything will be up, and a wonderful, lively community will be here - to enjoy, to relax, to live. 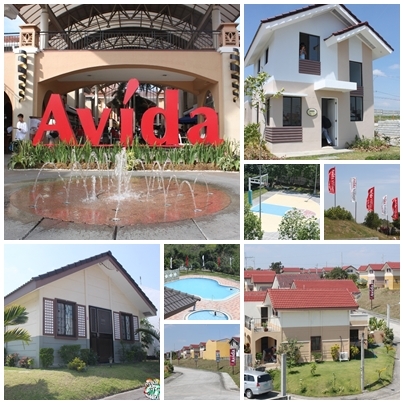 That is Avida's dream to every Filipino families - to have a place where every Filipino can dwell FOREVER. 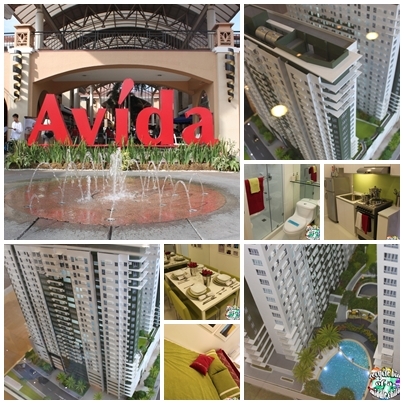 And since Avida is also the best when it comes to condominium units, to continue the wonderful legacy they started here in Metro Manila, our last stop that day was the Avida Towers in Alabang. Tower One is almost occupied, that's why this year, Avida Towers Alabang is launching their Tower Two to accommodate more families in the south who are dreaming of having this modern type of living. From studio type to two-bedroom units, Avida really knows how to give comfort to Filipino families. In line with this, they have a fun-filled affair last Sunday at Alabang Town Center that caters to the interests of every family member. Now... Do you have a dream, an ambition or a GOAL like me? I guess, all we have to do is add some more "sipag at tiyaga" then were off to achieve our Avida Goal!